​Wireless receivers are add-ons that are used with hardwired security panels to allow them to interface with wireless devices. Once a wireless receiver has been installed, the hardwired system will be able to use wireless sensors as part of its setup. 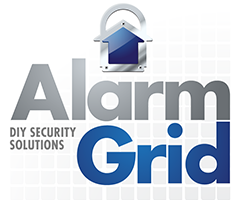 Check out the wireless receivers from Alarm Grid. When a user wants to connect a wireless sensor with a hardwired security system, they will need to use a wireless receiving so that the signal can be picked up by the panel. After a wireless receiver has been installed, it will be possible to program wireless receivers and use them as part of the security setup. Most end users find that wireless receivers are relatively easy to set up and use with a hardwired security system. Wireless sensors offer several benefits for users over hardwired sensors. For one, wireless sensors can be easier to install, since they do not require wires to be fished through any walls in order to reach the panel. Another benefit is that wireless sensors will not take up any of the hardwired zones on the system, which can often be very limited in number. By using a wireless sensor, your system will be able to monitor the device and make sure that it is always working properly. If the device is ever tampered with or not detected by the system, a trouble message will be displayed to inform the user of the situation. This makes wireless sensors incredibly reliable for any security set up. Many wireless receivers provide dual purposes for a security system. This allows users to get multiple uses out of a single device. One example is the 6160RF Keypad. This device doubles as both a keypad and a wireless receiver. A user can use this keypad to program their panel and for arming and disarming their system. Once installed, it will also serve as a wireless receiver, allowing wireless sensors to be used with the system. These dual use devices are extremely convenient, and they often represent some of the best choices for a wireless receiver. When using a wireless receiver and wireless sensors, you will want to keep in mind the signal range of both the wireless devices and the wireless receiver. The devices will work only as long as they are within the range of the wireless receiver. Check the range of these devices, and make sure that they are in close enough proximity with the receiver to function properly. If you do not have sufficient signal range, it may be possible to use a wireless repeater, such as the Honeywell 5800RP to repeat the wireless signal and extend the range. Other considerations to make include the number of wireless zones that are available and the battery life of the wireless sensors. Most wireless setups are limited by the number of wireless zones by that can be supported by the wireless receiver. If you run out of wireless zones, then you may need to upgrade to a wireless receiver that can support more zones. However, even if you have a wireless receiver that can support an unlimited number of zones, you will still be limited by the total number of zones that can be supported by the security panel. You will also want to make sure that you replace the batteries in your wireless devices regularly so that RF supervision loss does not occur. Your security panel should inform you when the batteries inside your wireless devices are getting low.